Inkin' It Up With Kendra! 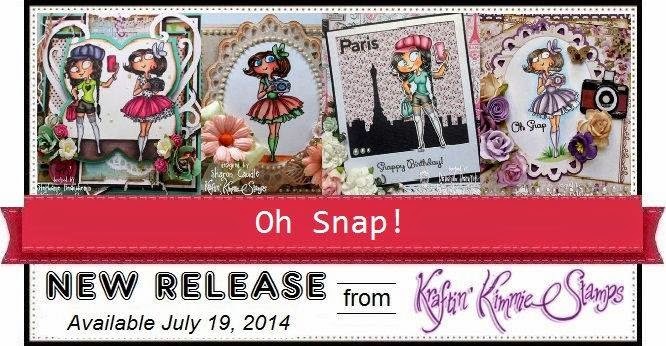 : Day Two - Kraftin' Kimmie Stamps July Release Peeks! Day Two - Kraftin' Kimmie Stamps July Release Peeks! Welcome back to Day TWO of the Kraftin' Kimmie Stamps JULY previews!!! We are continuing on with the creativity and fun with a fabulous new Moonlight Whispers stamp set by Annie Rodrigue!! We think you'll agree that this new set is PICTURE PERFECT!! Today the Krafty Girls and I are thrilled to share with you....OH, SNAP!! Teehee! You'll find so many gorgeous creations on today's hop featuring both new images and sentiments from the set! 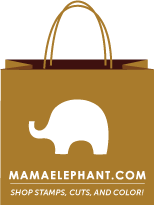 We know you are just going to LOVE these fun ladies and be inspired by all the lovely designs!! 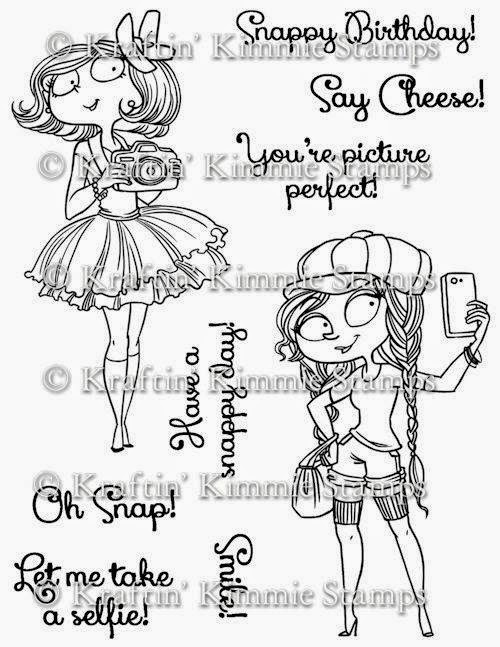 Below you will find all the Krafty Girls who have goodies to show you today and while you're visiting their blogs, be sure to leave some love at each stop because one lucky stamper is going to WIN a gift card to the Kraftin' Kimmie Stamps Shop!! Woohoo!!! 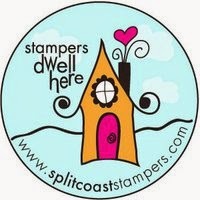 ALL of our JULY stamps will be available on Saturday night at the Kraftin' Kimmie Stamps Shop!!! Be sure to join us for an hour of celebrating the new stamp sets, fun and prizes at our LIVE ONLINE RELEASE PARTY!! Come hang out with the Krafty Girls and Krafty Guests! You can RSVP and invite your friends here!! I love this new set....so cute! Especially the "Let me take a selfie" sentiment - just fabulous!! Here is the card I designed using this set! LOVE this color combination!! I haven't used it much, but wow does it pack a punch! Thanks so much for looking and I will be back tomorrow with a Sneak Peek at another great set!! Stamps: Kraftin Kimmie Stamps Oh, Snap! Sweet card. Love the pink and black together. OH SNAP is right, you are making me want this set, too cute! Sweet card...love the image and the colours...they sure pop !! Thanks for sharing. Great card. The colour combination is amazing. I love it! Very cool card! Love the black/white and the pop of pink. Really pretty card. Stunning card. Love the pink and black color combo and your gorgeously colored image. Love this new set. Very pretty. Thanks. Sandy C.
My absolute all-time favorite color combo on this Awesome Card!! LOVE the chevron pattern too. Fun card, I love the colors and your coloring really pops the stamp. AWE this is soooo darn cute!!!! Very cute! Love the colours! 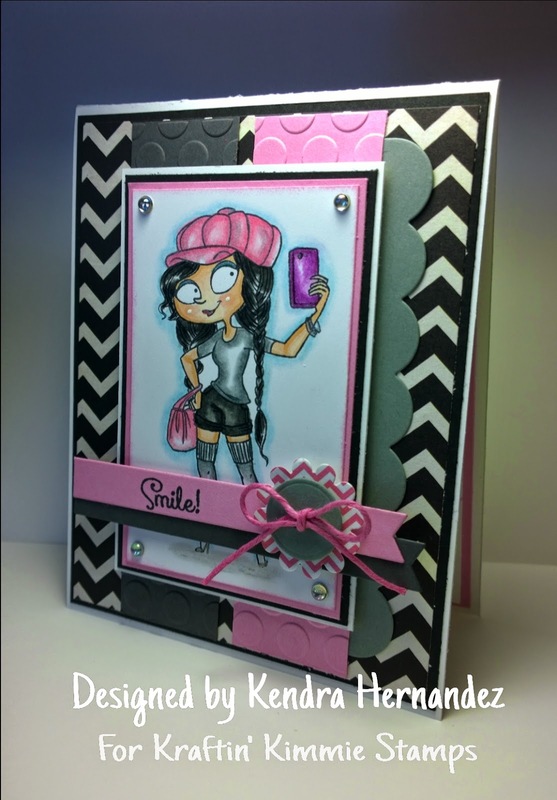 I love the sassy pink and black layout and coloring on the image! Great card!